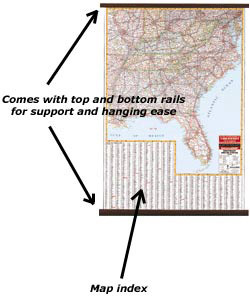 Swiftmaps United States Classic Executive Wall Map Mural Poster features spectacular and amazing detail that gives a antique vintage feel and look. Available in paper, laminated, canvas or framed from 2×36 to 76×120 inches. 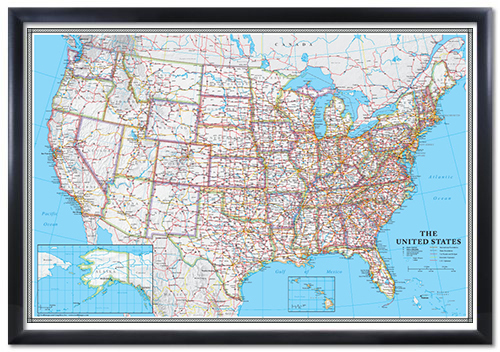 Swiftmaps United States Classic Executive Wall Map Mural Poster: Enjoy the accuracy and beauty of the latest United States wall map from some of the best cartographers in our nation. 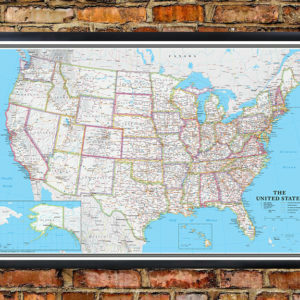 This political wall map features the popular Winkel Tripel map projection. 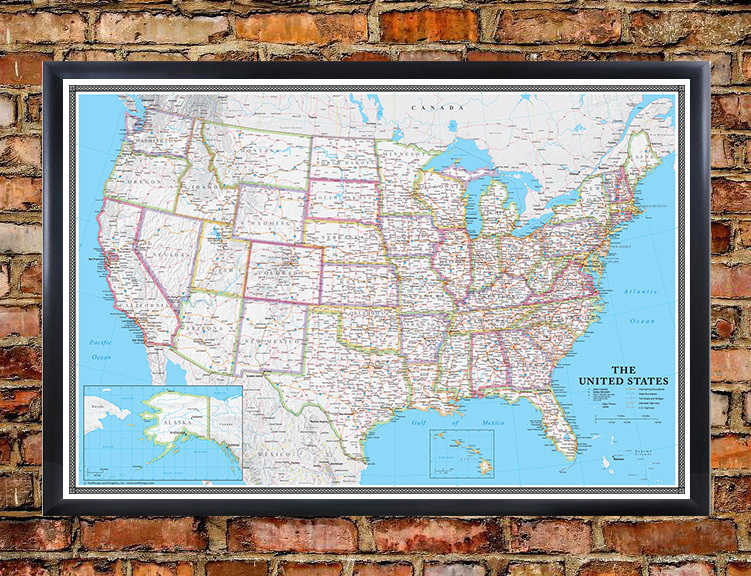 This beautiful USA wall map features spectacular and amazing detail to bring this nation alive. 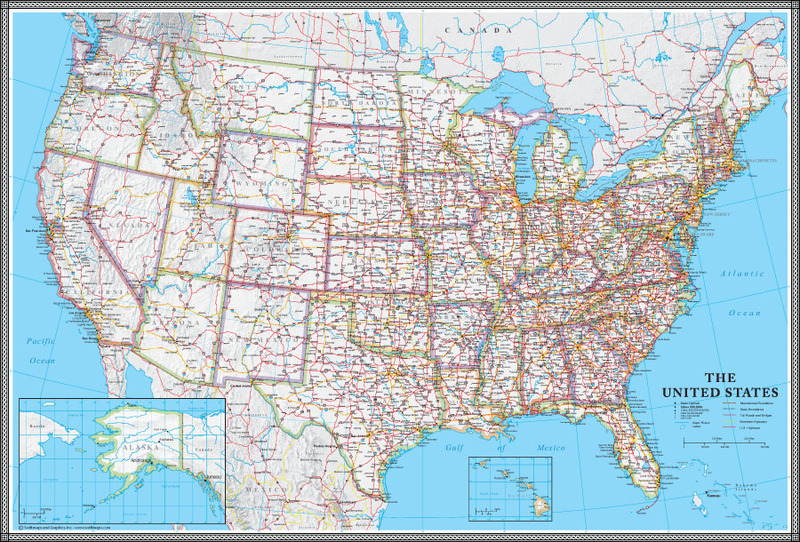 This wall map is packed with information; cities, interstates, secondary roads, and state parks. It also includes a clear legend and a list of abbreviations. In addition to portions of Mexico and Canada, insets of the Hawaiian Islands and Alaska are included. The colors are kept subtle to further enhance the great detail. 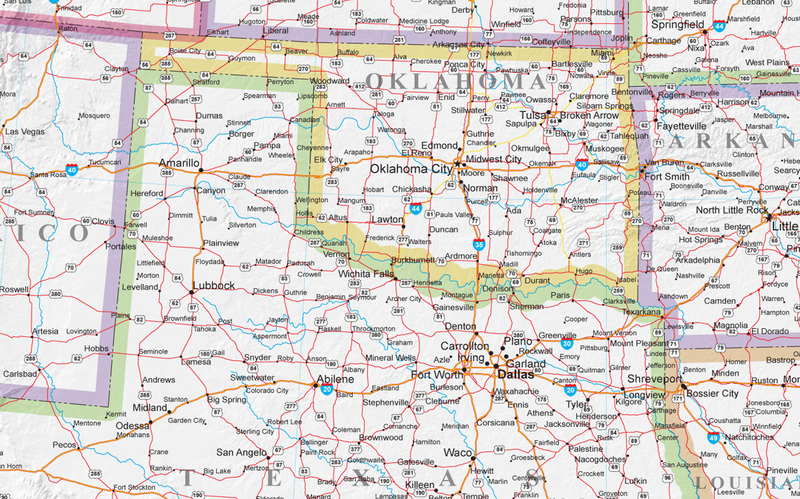 This map uses a distinctive design, marked by bold colors used to distinguish state borders and subtle relief shading for visual topographic/mountain relief. This wonderful map is a contemporary addition to any office or home. NOTE: the 76×120 inch mural size is a 3-panel mural that is joined during installation. Instructions included!